Yesterday brought some exciting news for those eagerly anticipating Pokémon X & Y, with CoroCoro magazine revealing "Mega Evolution" and three new 'mon, representing possibly the biggest new feature to be announced for the game to date — though it has had some competition. The Pokémon Company International has now revealed more on these details with some Western names, along with confirmation of a distribution event accompanying the title's release on 12th October to make use of the Mega Evolution mechanic. These evolutions will require Mega Stones that are hidden throughout the Kalos region; yet one, Blazikenite, will only be available with a special launch distribution event taking place on the Nintendo Network. For a short time after launch you'll be able to pick up a Torchic holding a Blazikenite Mega Stone; you'll need to evolve this Torchic into Combusken and then Blaziken, before you can use the Mega Stone and Mega Evolve Blaziken into Mega Blaziken. Even before that evolution the distributed Torchic will have a Hidden Ability Speed Boost. Below is the bulk of the press release that goes into details for the all-new Super Training, those three new 'mon with their Western names, and also Gym Leader Korrina — she plays a key role in the Mega Evolution aspect of the games. The newly released trailer and a host of fresh screens are also below. More never-before-seen Pokémon that players will encounter in the Kalos region have been announced this morning by The Pokémon Company International. You can check them out at Pokemon.com/XY. By emitting radio waves from its antenna-shaped whiskers, new Electric- and Fairy-type Pokémon Dedenne can communicate with far-off allies. It can also plug its tail into outlets to drain electricity from them. Its Ability,Cheek Pouch, is new to Pokémon X and Pokémon Y. If a Pokémon with this Ability eats a Berry during battle, it will not only reap the benefit from the Berry, but the Pokémon will also be able to regain HP. Dedenne can learn the new Electric-type move Nuzzle, which looks cute as the user nuzzles up to a target with its cheeks fully charged, but it’s quite dangerous! Nuzzle will do damage while paralyzing the opponent. Bunnelby is a new Normal-type Pokémon that creates its den by digging in the ground with its large, shovel-shaped ears. These powerful ears are strong enough to chop right through thick tree roots, making them a force to be reckoned with in battle. Bunnelby can learn the Ground-type move Dig. On the first turn, the user burrows underground, and on the second turn, it attacks! In Double Battles, a Pokémon can use Dig to avoid its ally’s attack and then dish out damage on the next turn. It is now known that Skiddo evolves into the already announced Gogoat. A Grass-type Pokémon, Skiddo has a gentle nature and is said to be the first Pokémon to live alongside humans. Because of this relationship, Skiddo doesn’t mind carrying people or supplies on its back, and it has become able to read the feelings of its riders through their grip on its horns. Skiddo can learn the Grass-type move Leaf Blade, where the user wields a sharp leaf to slice like a sword. Korrina is the Gym Leader in Shalour City, a seaside town known for its amazing views. It’s also home to the Tower of Mastery, which seems to have a connection to Mega Evolution. Gym Leader Korrina seeks to draw out her Pokémon’s strength to reach still greater heights, and it’s said that she may hold the key to Mega Evolution! In addition to being a Gym Leader, Korrina is a fantastic roller skater. The day this is released. is the day I resign from work. This is just getting more and more exciting, I'm glad I already have it preordered! This will definitely result in some f**ked up redesigns. Torchic being released day one makes me tempted to add it too my team and break my team only consisting of new pokemans rule. So Dedenne is basically Pikachu? AHH!!! Now I MUST get this on day one! I have to have this game! Those mega Pokemon are really..........MEGA!!! Mega Blaziken and Mega Lucario look awesome, glad I got Y on preorder. why is everyone else(ign,gamespot) saying this is digimon, i guess we have sense. Day one purchase for me... I am really excited. It looks great! Super Training looks really cool This game is going to be the best pokemon game ever! Top 3: Mega Absol, Mega Mawile, Mega Blaziken. Oh. My. God! I cannot wait for this game anymore! I think I kind of like too that the Mega Evolutions aren't permanent. I wonder though if there's a limit to how many times you can do it? @boidoh: it's pikachu in 1996, when it was the cuttest chubby electric rat you could find in the forest. I sense "super saiyan" in this Mega Evolution...and I don't have a problem with that! How about Ampharos and its Electric/Dragon Mega Evolution? Or Mawile and its newly christened Fairy type? This is making me want to get a 3DS just to play this game. A few of these new designs **cough**Dedenne**cough** remind me strongly of Generation II. And that's a good thing! Dedenne is this generation's Pikachu...but it looks a lot like a mini-Raichu! Nintendo should definitely have game freak make another pokemon stadium or pokemon snap for the Wii U. That would definitely raise sales for the﻿ Wii U. Is there some kind of running gag that every generation needs their own electric rodent? It's cute and all, but other elemental rodent pokemon woyld be nice. @feline2 Well I think "Mega" was one of the digivolution levels and some digimon may have had Mega in their name. And I mean, they'll always be compared occasionally since they are kinda the same in many ways. As a kid I always liked both. The show was way cooler then Pokemon, but the Pokemon games were (And still are) fantastic. Can't wait for X/Y, just hope I can beat SMT IV before Oct! I like it. In fact. I'm so glad there's so much positivity here towards the Mega Pokemon since I have seen negative comments towards them. I'm so pumped for these games and I'm glad a lot of people are! @Ulala I agree. I already don't like the redesigns. Also, that pikachu-wannabe looks like an unoriginal failed version of pikachu. @Caramel it looks like. A fat joke/failed pikachu. Why do they always remake pikachu!? I hope they make the logical decision and have Mega Forms activate as soon as Pokemon enter battle, as to actually make it useful and not a massive gimmick not worth the hold item space nor have it actually help low tier Pokemon that needed it. Also, as great as it is that Super Training makes EV training easier and more transparent, that real issue people had a problem with was IVs, which are luck based with the odds heavily against you. I would go so far as to say IVs were the number 1 reason for hacking. That is unless all the hopes and prayers of competitive players have been answered and IVs have been removed or are easily manipulated (through Vitamins or something). Pokemon X and Y just keep getting better can't wait til October 12th. As if those pokemon weren't already over powered. Well, at less this better happen...MegaMagikarp! I'll be most likely picking this up at launch,Depending on how much time I have to pick it up. I was gonna get Etrian Odyssey: UMG for the pre-order bonus but because of the distribution I'll be going with Pokemon. While I love everything about this, it bothers me that they insist on saying it's an evolution when it really is just a temporary form change. Even if it comes with a power boost, it's not a real evolution. This WILL be the biggest and best pokemon game. Ever. I swear, the release of X/Y will be an international holiday. Im talking no school or work for a week! 4 things. 1.I love this. 2.I hope to see all gen 3 starters get a mega evolution. 3.Why did ampharos turn into a dragon altaria style. 4.Mega Tropius!!!! This will be the best pokemon game ever. IMO, better then the first games. WOOT! If miiverse is out for 3DS and this game is released I'm gonna have a good time. I am not that hyped for it as I was for Black 2. The visuals have improved but still look sort of bad considering the capabilities of 3DS, I really hate this pixelation. The new pokemon look awfully familiar with old ones. Also you should be able to train the base stats of pokemon in battle, not with a mini game. Another topic I want to discuss is that in previous games uploading pokemon you already collected in previous generations was bad, stupid and time consuming. It should just let you upload them once you beat the game. I hope they change it in the new games. In fact this may be a selling point for me. My only gripe is that no other starters have Mega-Evolutions (so far) and that now everyone will have they'll want to train from the beginning but Fennekin is the coolest looking starter so far. 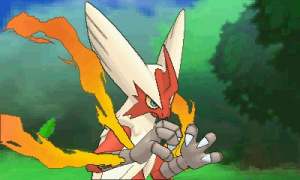 But Talonflame looks baddonkey. So. Much. Fire. Also, there better be a limit of some sort to how much Super Training can happen. It seems like some people with a lot of time will get some insane Pokemon. @belmont Uhh, pixelation is incredibly common in 3DS game trailers...the game is supposed to look cell-shaded, it's SUPPOSED to look simple. Super training is not for BS training, is for EV training. I bet mega stones will available to buy as DLC later. GF finally have the opportunity, they were biding their time. Very interested in how all of this affects the meta game. I'm thinking that Super Training is the new EV Training. Very very excited for these to come out, as they are going to own me. Gonna have to pick Chespin now. Can't choose any Fire-type starter over Torchic. So is the Torchic gonna be downloadable through the game, or through GameStop etc.? I think a Mega starter from Gen 3 is a good clue for Saphir and Rubis to be the next Pokémon games on the 3DS. I wasnt even planning on getting this game after I skipped on pokemon black/white 2. But it looks pretty interesting now. I might just get it . this is looking amazing for sure O:! Mega level huh? Me thinks somebody at Nintendo has been watching Digimon. Hooray! I know what I want to pre-order for my Birthday alongside Wind Waker HD! Wonderful 101 will tide me over until then once it is released. And Pikmin 3 will be in my system until then too. Man I love Nintendo. what does it mean for the even to be Nintendo Network? 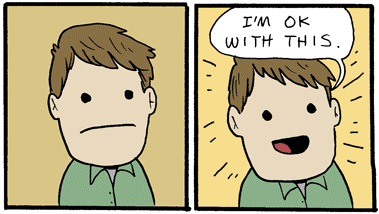 that means you can't get the Torchic unless you have a Wii U? or it'll be something like a limited time dlc to encourage early adoption? Got Y preordered....gonna be fun! Looks like someone seriously got digimon mixed into my pokemon this time. Mega pokemon.. What an completely and utterly stupid idea. @DarkKirby I disagree, IV's could be bred across from pokémon & depending on how perfect you wanted your pokémon to be, you could get a couple of perfect IV's inside of 45 minutes to an hour. Difficulty has always been the excuse of the lazy or those not willing to lose a couple of times before they start hacking. I've been playing pokémon since the start & have a full pokédex without ever cheating or trading a hacked pokémon. I simply don;t respect anyone that has hacked & refuse to accept their pokédex as complete. Finally a way to get an excuse for the EX style evolutions that they used to have in the card game also the Mega Evolution process looks awesome. mawile and absol have it!! sweet! !